Why Do People Make Websites? - Who Doesn't Love Money? How are you doing today? This is an article that will help you understand the whole process of making a website and why people make websites. There can be a few different reasons, but the main reason that most people today make websites is to acquire income. When you can understand that a website is no different from an offline store or just a regular building, you will start to understand how a website can make money and how a website might not make any money. A website that has helpful information, that gives people a reason to read that website, will build authority, just like a store or a brand offline would. A building can be a store but it doesn’t have to be a store, any website can make money, but it doesn’t have to. I am going to describe 3 reasons people make websites. 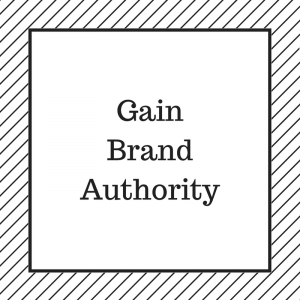 #1) Add Authority To An Offline Brand. Any brand you have ever seen, worn, eaten, all started out as a small unrecognizable brand that took all their profits and reinvested back into the business for advertisements and naturally over time, added much more workers and overall product production. Over time any business that takes its earnings and reinvests back into itself, will grow, with it grows an audience, and of course comes grown profits, which as I said above is the main reason people build websites, but in this case, its a way to invest in the brand. When you can take any brand that is offline, then build an informative website around only that brand, you end up with a website that not only makes sales, but grows your brand to a growing audience of a potential 3+ Billion readers. Basically taking your small brand and making it worldwide. How many sales do you think Nike, Adidas, or Vans made in their first years? Now after the internet and the growth of these brands, they are making profits never imagined when they first started. The growth of the internet and the trust in brands have sky-rocketed, everyone uses the internet and everyone has their preferred brand to use, the more a brand can grow, the more trust that brand can gain, a cool, helpful website adds to a brand trust and overall online and offline authority, depending on the growing size of the brand. There are a lot of famous names on the internet for one sole reason… They created a blog and or a video blog (vlog) about themselves… They created a website where they tell you exactly what they did for the day and why they are doing it, mainly its for your entertainment, but what you see as entertainment, they see as money signs. Anyone that has built a brand around themselves is very knowledgeable about the topics they talk about, if you are going to create a personal blog, well isn’t the main topic, you? Who knows you better than you? All you have to do is make sure everyone knows what you do and tell them, often. YouTube is the most popular website to accompany anyone’s website blog with an easy and free tool for video blogs. Any time you create a page/post on your website, search engines will find it, index it, and rank it based on your content and competition. There are two different ways the biggest search engine, Google, indexes and ranks content. There is video content and there is written content, both rank in Google’s search results, but a page/post with a good YouTube video will rank even higher, even allowing for double rankings. Once you have content about yourself and videos of you doing things, you will start gaining traffic, people that are reading/watching you. Once you have traffic there is a number of ways to do the main reason of building a website, make money, I will cover those below. When you are someone that doesn’t want to talk about themselves all the time but you are still a helpful spirit in the area of… It doesn’t matter what you know or how you know it, it matters can you help someone else learn what you know, but help them learn it easier. The key to helping is making the process easier and less stressful, everyone wants to get what they want as easy as possible, help others do that with knowledge you have and you can create a helpful Niche Website. A Niche is any category of anything, when you take a shower, there is a whole assortment of products that fit into the shower niche. When you take pictures, there are an assortment of products that help improve the quality of the picture, there are different lenses, and different flashes, some people know nothing about your niche. Your job is to take an area and be the expert, when you can show people you know what you are talking about, they will listen and you will end up with repeat customers and free advertisement via word of mouth (The Old Fashioned Way). Once you can help people do something easier, it is your job to tell them how and which products you recommend helping their situation. Its then their job to listen to you or go on to your competitor. How Do Any Of These Websites Make Money? In the first option, the reason an offline store needs a website is mainly for a greater audience range, but there are secondary reasons, with a larger audience you get more sales which lead to more money to be put into advertising that will lead to more sales, that will lead to more and more and eventually you have an offline store that has a website that helped build the brand into a global empire. On top of sales from the direct website, the website has all the info you will need to learn about that brand and why you should wear their apparel or why you should eat their product. The website’s purpose is to inform you while boosting brand awareness. The second two options are going to be for anyone that wants to create solely an online presence, this is completely fine and can even have reverse results of the first option. A personal blog or niche website can both start with free websites that over time build authority and rankings that lead to traffic and sales within your site, that can lead to having to buy an offline site or an office space just to keep your ducks in a row. In your personal blog or niche website, you are going to be talking about whatever it is your website is about, in case of a personal blog, you can talk about anything you want anytime, because its about you, everything you do is you, everything you use is you. 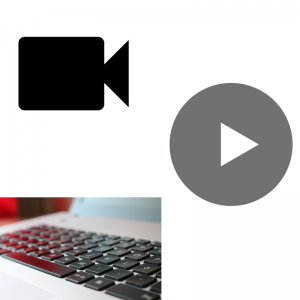 Anything you record or talk about on your site or video can help you connect with your audience. When you can have your audience feel like they really know you, they trust you, you can help them make decisions of which products you recommend and give product affiliate links to your reader/viewer so he/she can buy your recommendation, this is a simple process called Affiliate Marketing! Ever hear of people talk about “Automated Marketing”? They are basically creating a website that sells products, while they are not working… The same thing I do, but I don’t try to hide what I do, I help others make decisions based off of my opinion, its not rocket science and no one is required to listen to me… But if you want to, its highly recommended! Any website can make money and every website has a reason behind it. If you look at the name of my website here… Who Doesnt Love Money, guess what… I built my website to make money, but in order to make money, I need to help others. I want to help others make money with a website. Whether you are trying to grow your offline business and start gaining a global audience, or just want to start a website that can help people so you can earn commission, I want you to check out the program that I am part of that has all the training you will need to become an expert on everything I just explained to you. The best part is, I want you to try for free, with no credit card info required, just your email, an username and a password. Clicking The Banner Above Will Bring You To Another Page Here At WhoDoesntLoveMoney.com, That Will Show You The Training Available And How To Access Your Free Training. I would like to thank you for taking the time to check out my post on Why People Make Websites, if you have any questions or comments, feel free to leave them below! Thanks for the great info here. You really summed up the online money making world. The problem with being a beginner is the many different ways to make money online. Theres also the confusion as to which way would be best. Thanks for your article, I’ll have a look at your recommendations. Hey Dave, when you start out in the online world, you are right, there are so many different ways to make money. There are short term scams and long term online businesses, I will stand behind my websites for the rest of my life, creating them was the best decision I could make in my young age. Check out My #1 Recommendation to building a website with all the support you will ever need! Yeah its a great question right,why do people make websites? Well you hit the nail on the head here i think Kenny – its mainly either to share their personal story/views through blogs or look to make money through niche websites. I personally love to blog and make niche websites, well I mainly focus on just one website at the moment and as you say if you build up authority and rankings can lead to a lot of pretty consistent sales. Thanks for sharing this bro, definitely was a solid read and it will be an eye opener for new people to building online authority! Hey Marley, Making A Website isn’t as hard as it has been made out to be, niche websites or personal websites can both be profitable and fun, I love working on my sites and watching visitors read what I have to say because I was able to do the research to become an expert! 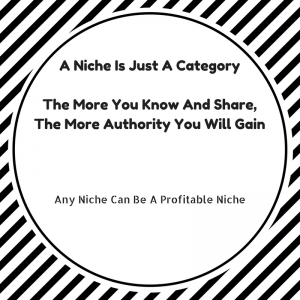 Awesome to hear you create your own Niche Sites, never give up on them, keep working hard and it will all pay off! Awesome sharing! Before i was exposed to the world of internet marketing, I did wonder before why do people make websites. Why do they take their time to maintain and post things on their website? Where do these people make money from? I wished I have discovered your article earlier! Your post is very comprehensive and I’m pretty sure will help a lot of beginners out there who is keen in earning a passive income and at the same time do something they like. Keep it up! Hey Kenny, Nice name! Internet marketing is something everyone should get into, it doesn’t matter when you get into it, but as long as at some point you start your own business, your own brand. When you work for yourself, it can be stressful, but the rewards of making your own schedule, and doing what you want when you want is the true reason I get into internet marketing, the feeling of true freedom! When you are your own boss, great things can happen, if you can be the kind of person to hold yourself accountable, there is no one you can blame when you don’t do your own work but you. I love this feeling, I will continue to build websites and be my own boss for the rest of my life! You better too! At any point starting your own brand is good idea. Never Give Up On Your Brand! You’ve got some great information here which is so helpful if you’re a beginner – a year ago I knew nothing about websites but now have my own niche site. For me, the key with creating a website, was helping people and providing useful and engaging information – then I started receiving visitors (and returning visitors which is even better). Well done for producing a clear, concise guide. Hi Louise, helping people is what you need to do to make sales, any helpful, engaging salesman/saleswoman will make more sales than someone who can’t get their opinion out or help anyone learn about a product they are about to commit to buying. Once you have helped a customer of yours, no matter how, they are going to want more help on the topic later on, they are more than likely to want to get it from the same place they got their original information. It doesn’t matter what you know, but who you helped learn what you know and how to use it to their advantage! When you can do this, you can sell any useful product to your audience! The guide is simple but hard work is required! I know you know what I mean!